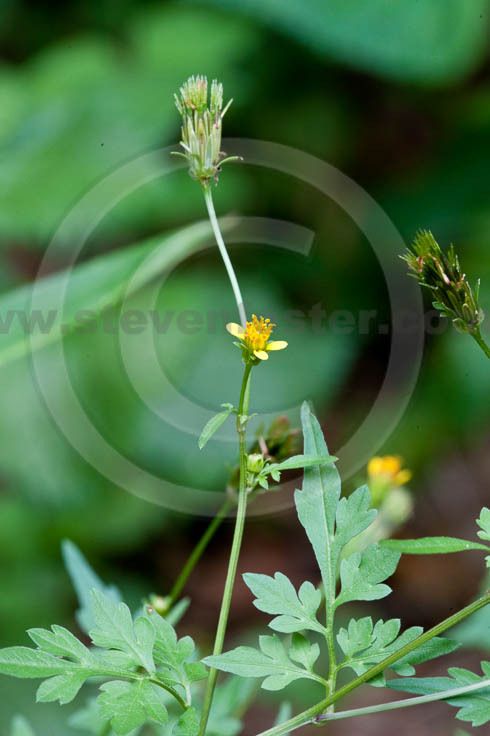 Photos of Bidens bipinnata, Spanish needles, cobbler's peg, beggar's tick. Bidens bipinnata. Spanish needles, cobbler's peg, beggar's tick. In Traditional Chinese Medicine, the herb is well-known as an ingredient in prescriptions for fevers and for anti-inflammatory activity in rheumatic complains. Science confirms antidiarrheal, liver-protective and anti-inflammatory, activity. Various flavonoids are linked to biological effects. 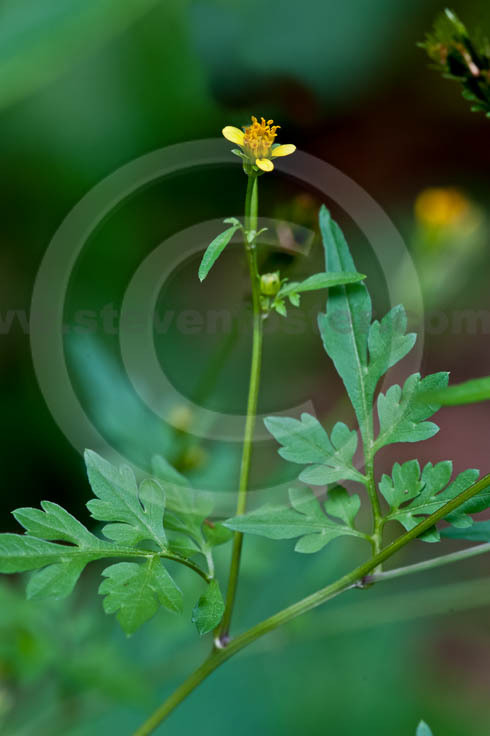 This is a weedy plant found on most major continents and used in many traditional medicine systems. Most recent research is by Chinese scientists.